First I thought it still opening, then I thought it hanged. But no – it is already opened, just no object shown. Funny? 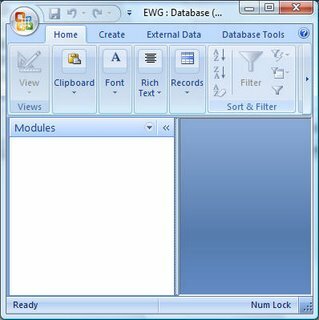 Ok, here is how you can bring back classic database window in Access 2007.